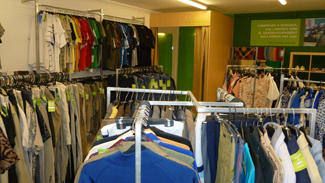 Today Humana has opened its eleventh second hand clothing store in Barcelona. This new facility is located on Calle Asturias, 41. It has a sales area of 180 m2 on three floors you can buy clothes and accessories for men, women and children as well as footwear and home textile. The facility is capable of holding 6,500 garments. The resources obtained through Humana's 28 stores in Spain and Portugal allow the financing and implementation of development cooperation projects in Africa, Asia and Latin America in the fields of education, agriculture and rural development, community development, diseases and and emergency assistance.